FOR KIDS AGED 6-11 YEARS. 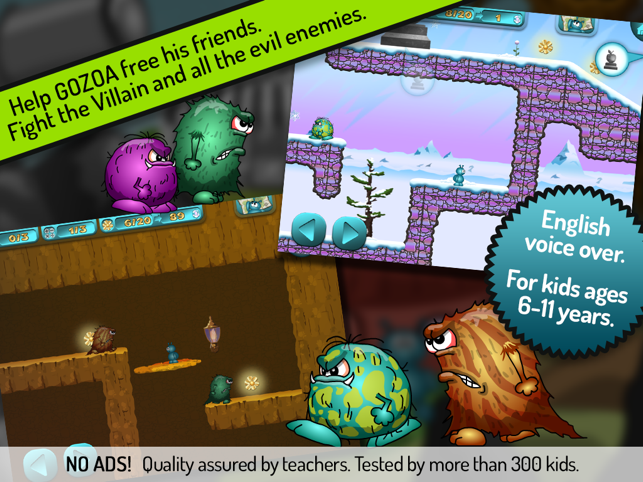 Can you help free GOZOA’s friends from the evil Villain? Travel to the adventurous world of LURRA, overcome magical obstacles, solve mathematical assignments and defeat the enemies of LURRA. 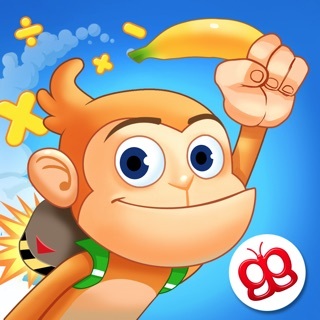 5 STARS and RECOMMENDED by the educationalappstore.com - "The most well-thought out gaming and educational apps combined!" 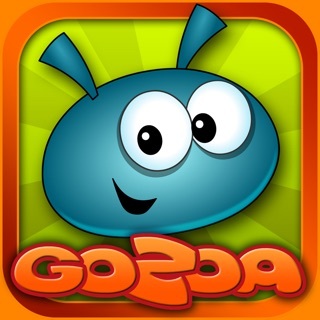 GOZOA combines progressive educational philosophies with innovative game mechanics to create engaging interactive entertainment. 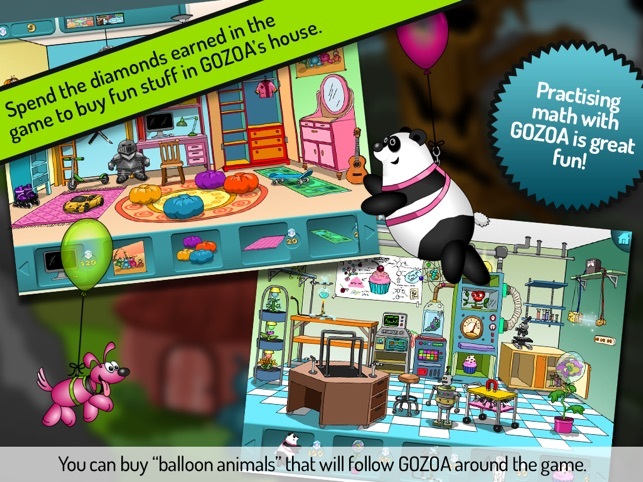 Previously released apps from GOZOA have been recommended for use in school and as homework. This game is wonderful! It is fun to play and the world they have created is very rich. My son (5.5 y.o.) loves it. He is bereft that the 4th level has not yet been created. He desperately wants to explore treasure cove. His love of the world and the game is such that he plays the levels over and over. As a result of this compelling world and story, his facility with telling time, addition/subtraction, and multiplication/division have really progressed. As a parent, I am thrilled by this game and wish there were more like it out there! Initially, I was worried because my son was slow at the game play and spent most of his time trying to move around. There was no reason to worry as he figured the controls out fairly quickly and ended up spending the majority of his time solving math problems. Please keep making and supporting these games. 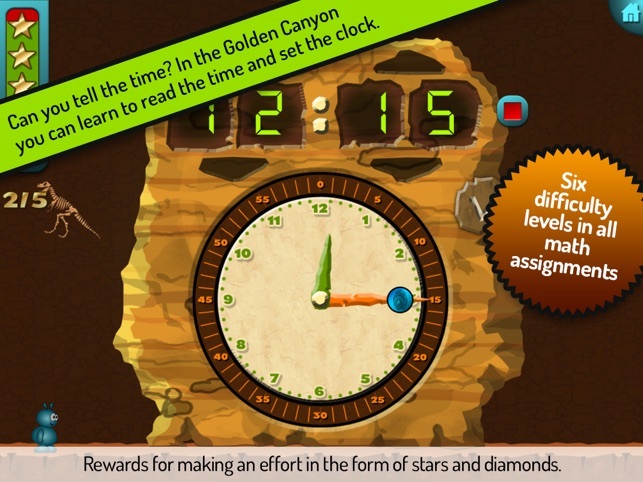 This game was very popular with my young testers who are normally resistant to math apps. The engaging gameplay and graphics kept their interest to work through various math challenges. I would like to see earlier singular simple math problems perhaps at the golden apples and the ability to select specific operations in future editions. Rewards lay a foundation for money concepts. I like that there was no social media links included. 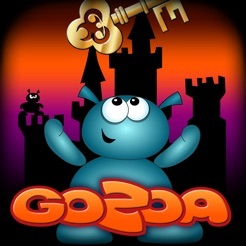 Gozoa really seems to have their finger on the pulse to what kid's want. 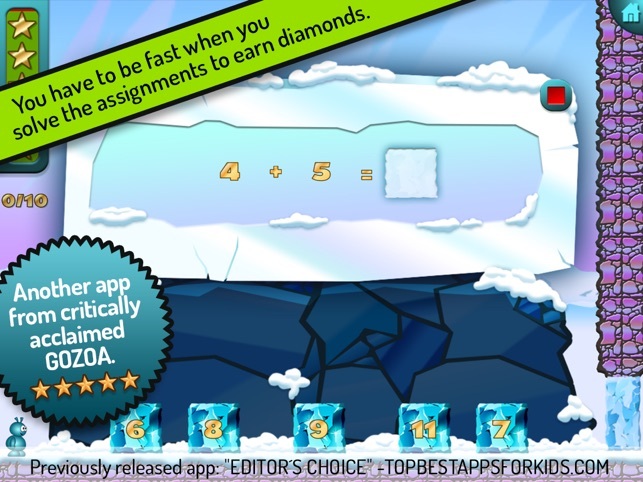 By integrating the learning of basic math skills on a gaming platform, they insure repeat play for the sometimes difficult task of committing core computations to memory, learning about time, and solving equations using multiple operations. There are 6 different levels of difficulty within 3 realms of play, plus a token economy reward system that introduces the use of money.